The 10000 Series is a four-door commuter-type electric multiple unit designed by Tobu as the successor of the venerable 8000 Series. 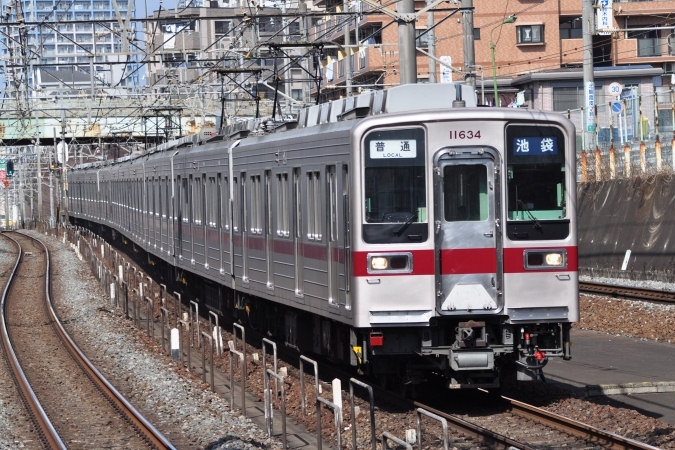 In 1983, Tobu decided to stop the production of the 8000 Series of which 713 cars were built and switched to the production of a more modern design. This design, based on the earlier 9000 Series, was named the 10000 Series. 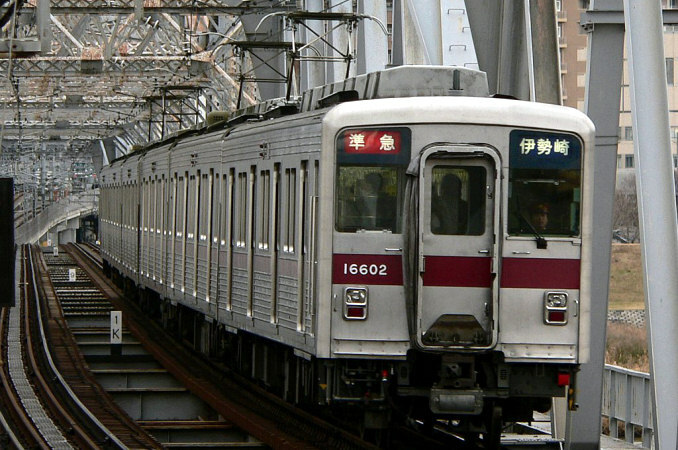 The 10000 Series trains are constructed of stainless steel and have corrugated side panels. Unlike the 9000 Series, the 10000 Series uses field chopper control which is cheaper to produce. In 1988, a modified model known as the 10030 Series was introduced. These trains have bead-pressed side panels and use bolsterless bogies. At the same time, a variable frequency drive equipped proto-type known as the 10080 Series was introduced. Only one four-car formation was built but its success led to the later adoption of variable frequency drive in trains such as the 100 Series. An improved 10030 Series known as the 10050 Series was introduced in 1992 and included some minor modifications such as wheel chair spaces inside and different air conditioning unit covers.